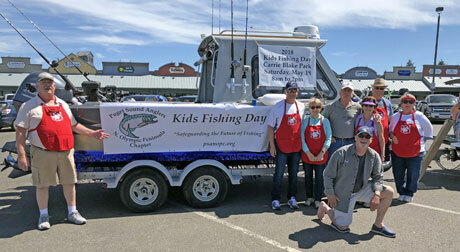 Our main community activity is the Kid's Fishing Day held annually at Carrie Blake Park on the third Saturday in May. Mark your calendars. No equipment or bait needed, all will be supplied. This event is for kid's 14 and younger. The horn will blow at 8am and we will collect fishing equipment at 2pm. Limit 2 fish per kid. See you there.